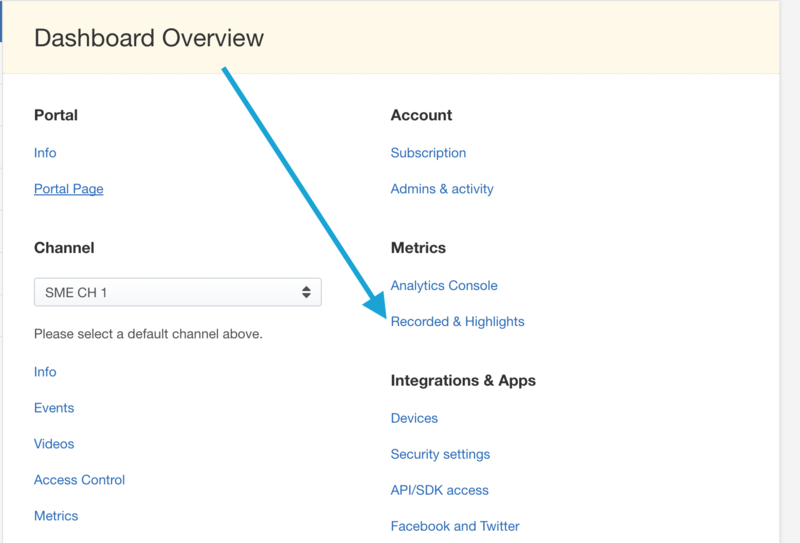 This page has two sections: the top section allows you to select what recorded videos and what highlights you want to be availble for viewing in the graph below. You can toggle between selecting videos and selecting highlights by using the tab on the top of the field. 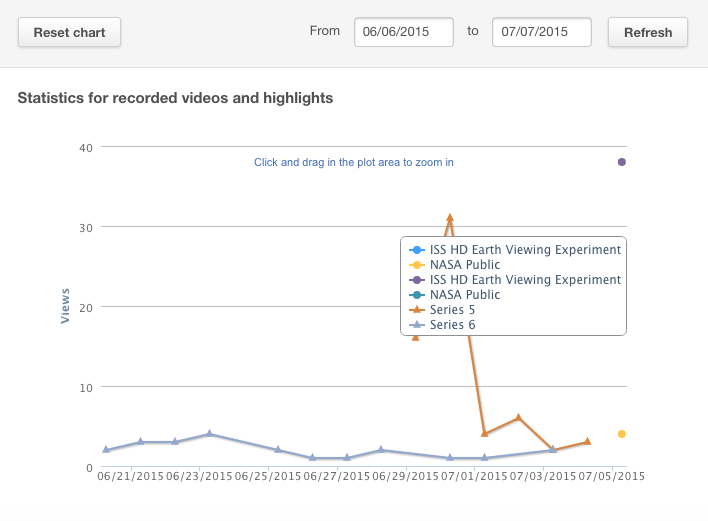 Click the checkbox next to each video or highlight you want visible, and the graph will begin to polulate with data. Both can be viewed simultaneously in the graph- full videos are represented by dots, and highlights by triangles, and each is given a separate color. The number of viewers is represented by the y axis, and the date of the recording is represented by the x axis. The video count shows the total number of views on the video up until the latest date, while the highlights shows the number of viewers each day. You can choose to expand the graph within a time period by clicking and dragging on the graph. You can also clear the chart by clicking the Reset chart button in the upper left corner, or refresh the results with the button in the upper right. You can export this information in either pdf or csv format by clicking on the 'Show me detailed statistics' button below the graph, and exporting the results.